So What Exactly Is The Pope’s New Encyclical On The Environment Anyway? A draft of Pope Francis’ new papal encyclical on the environment leaked Monday, outlining a sweeping vision for how the Catholic Church should respond to the issue of global climate change. The official version is set to be released this Thursday, but as journalists and theologians scramble to discern the finer details of the papal document, many others are wondering: what exactly is an encyclical, anyway? Well, don’t you worry. ThinkProgress has you covered like the pope’s miter on Christmas. What is an encyclical, really? Generally speaking, a papal encyclical is one of the highest forms of official teaching a pope can produce. It is second only to an Apostolic Constitution, which is issued far more rarely and usually only to solidify really, really important theological ideas: For example, Pope Pius IX’s Ineffabilis Deus, an 1854 constitution that defined the dogma of Mary’s Immaculate Conception, represents one of only two universally agreed upon instances where papal infallibility was invoked. Encyclicals are usually addressed and delivered to a group of bishops or bishops at large, but sometimes — especially in the modern era — they are designed to reach a broader audience (i.e., these days they are published on the Vatican website where anyone can read them). They clarify a theological issue or question of Catholic doctrine, and can often be used to help end debate over a contested subject. In practice, this means encyclicals either examine specific spiritual concerns, or clarify the appropriate Catholic response to an issue plaguing society. A similar but lower form of papal letter is an “exhortation,” which does not define church doctrine per se but encourages a Catholic community (or Catholics at large) to undertake a specific action. Pope Francis issued one of these, entitled Evangelii gaudium, in 2013, where he outlined a deeply progressive vision of economics and called on believers to do more to help the poor. If you’re keeping track, that means that, yes — in terms of the importance of the medium — Francis’ encyclical on the environment is actually more authoritative than his papal letter on poverty, although the new document focuses heavily on how climate change impacts the poor. Has Francis written an encyclical before? Just one so far, with the environmental encyclical making it two. He published Lumen fidei in June 2013, a few months after ascending to the papacy. 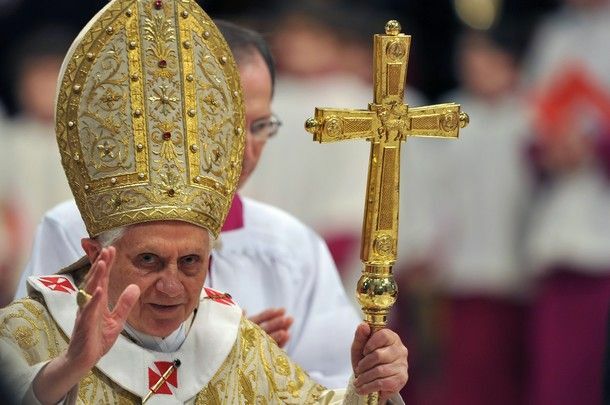 Although published under Francis, the first draft was actually written by his predecessor, Pope Benedict XVI, with the new pope simply finishing the effort and adding a few details. It focused on faith as a theological virtue, complementing two other encyclicals on charity and hope penned by Benedict during his tenure. How often do popes issue them? It depends. Some popes serve for long periods of time and can be especially encyclical-happy. Pope Pius IX, who became pontiff at age 54, issued 38 during his reign from 1846 to 1878, and Pope John Paul II wrote 14. Others are more hesitant, such as Benedict XVI, who only got around to writing three before retiring from his 8-year-run as pope in 2013. Do they actually accomplish all that much within the Church? Encyclicals can put intellectual teeth behind a Catholic position, often expanding a vague idea into a robust, academically rigorous platform. This frees up Catholics all over the world — and the pope himself — to advocate for specific policies using any number of well-funded church advocacy arms. Thus, while encyclicals rarely make significant alterations to Catholic teaching, they have to power to energize the church around an issue at least during a pope’s reign — and possibly for centuries afterwards. Pope Leo XIII published his Rerum novarum during the early era of the Industrial Revolution, for example, investigating the awful working conditions faced by lower classes and endorsing labor rights such as the freedom to form unions. The document inspired a generation of Catholic theology and activism around labor issues, and is still cited by many union activists as crucial to their work. Other papal encyclicals reaffirmed conservative theological positions that went on to become political rallying cries for right-wing Catholics in the United States. The most famous examples are probably Casti connubii and Humanae Vitae, two encyclicals written by different 20th century popes that cemented the Catholic Church’s rigid opposition to both contraception and abortion. That stance continues to impact American politics to this day: in 2010, the U.S. Conference of Catholic Bishops opposed the Affordable Care Act because it would require their institutions to provide contraceptives to employees, paving the way for the government to create a special exception for religious groups (although even that workaround has been challenged by some Catholic orders as insufficient). Is this new encyclical really that great on the environment? If the leaked version is any indication, then yes, it’s amazing. It covers all the basics and then some: the need to care for the earth, the fact that humans are contributing to global warming, the fact that climate change disproportionately impacts the poor, etc. So what impact will this have? From what we can tell, there isn’t much in the new encyclical that challenges traditional Church teaching. The truth is that the Catholic Church has actually been pretty great on environmental issues for some time, and the pope’s willingness to take on climate concerns — similar to his campaign to address global poverty — is mostly just a passionate rehashing of a long-held Catholic position, theologically speaking. That said, Francis’ document can crank up the volume on how the Catholic Church talks about — and advocates for — environmental policies. This matters, because the Church has proven itself capable of marshaling a pretty effective political apparatus when it wants to. Just here in America, the U.S. Conference of Catholic Bishops pumped gobs of money into a campaign to defend “religious liberty” in 2012, and the Church has been an influential supporter of immigrant rights for years. And more importantly for a global issue like climate change, Pope Francis is known to have a knack for making miracles happen (metaphorically speaking) in international politics, having successfully brokered a deal to normalize relations between the United States and Cuba and even getting leaders from Israel and Palestine to sit down together in the same room. This means that the Vatican could begin simultaneously pushing for climate-conscious polices at the local, national, and international levels, a trick few countries or advocacy organizations can pull off at such a scale. Granted, the Catholic Church has been losing a lot of political battles of late, and the once roughly unified “Catholic vote” in the United States is now known to be split on many issues. After all, several Catholic lawmakers still don’t even accept climate change, much less want to do something about it. Arguably the most important impact of the new document will be how it encourages priests to discuss climate change with their congregants. A 2014 study conducted by the Public Religion Research Institute (PRRI) found a strong correlation between priests who preached about climate change and parishioners who express support for policies that help the earth. Here in the United States, where elections matter, changing the hearts and minds of individual Catholics could go a long way toward electing candidates with sound environmental polices, and, ideally, slowing our warming climate. What’s more, Francis is also well-liked by Catholics and non-Catholics alike, allowing him to influence far beyond the walls of Catholic cathedrals. Sounds like this thing is pretty great, huh? Definitely a good thing for the environmental movement, yes. Unless you’re a climate denier, of course. Well, what if I am a climate denier? Then we will pray for you. Well, Pope Francis will, anyway. The final version of Pope Francis’ encyclical on the environment was released Thursday morning. According to the New York Times, it “almost exactly matched” the leaked version.